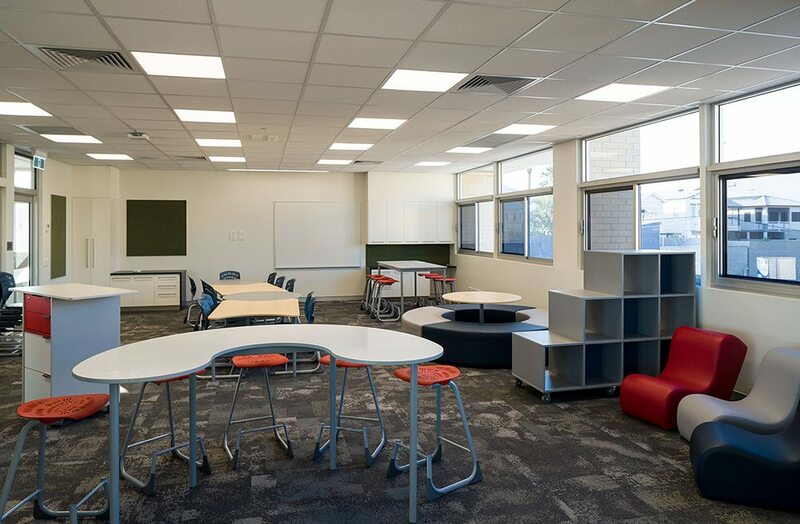 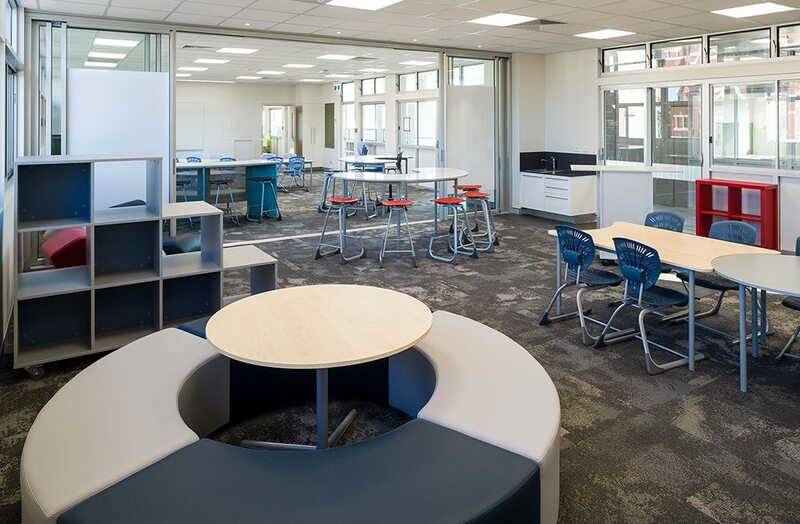 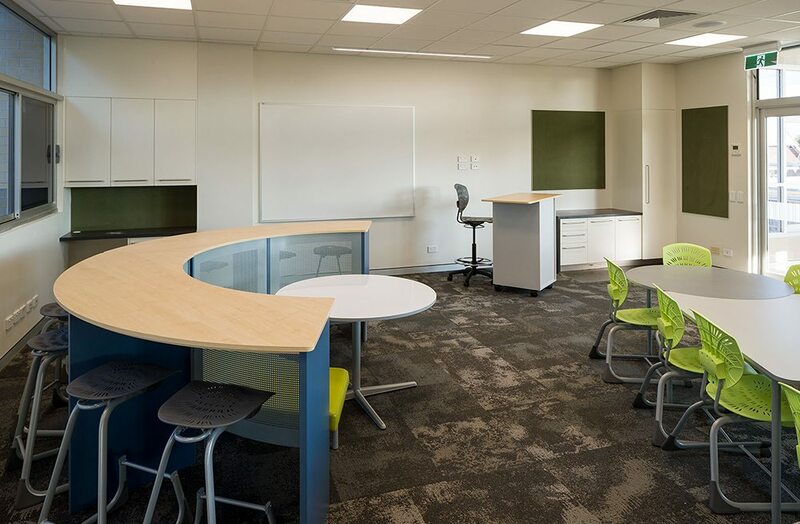 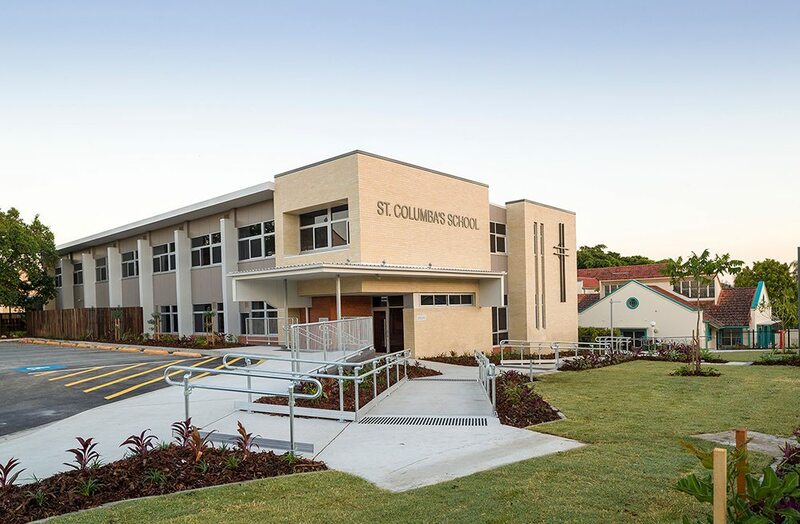 The new St. Columba’s Administration and GLA Building provides a contemporary collaborative learning and working environment, in the heart of an existing campus, for the students and community of St. Columba’s School. 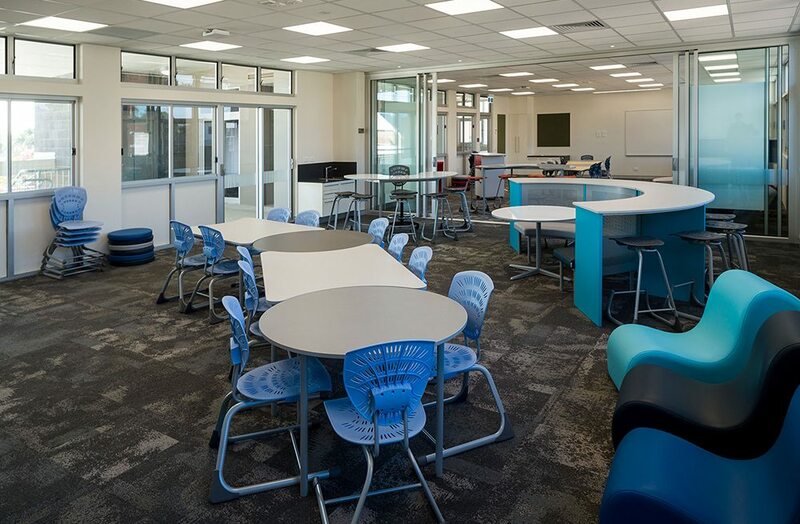 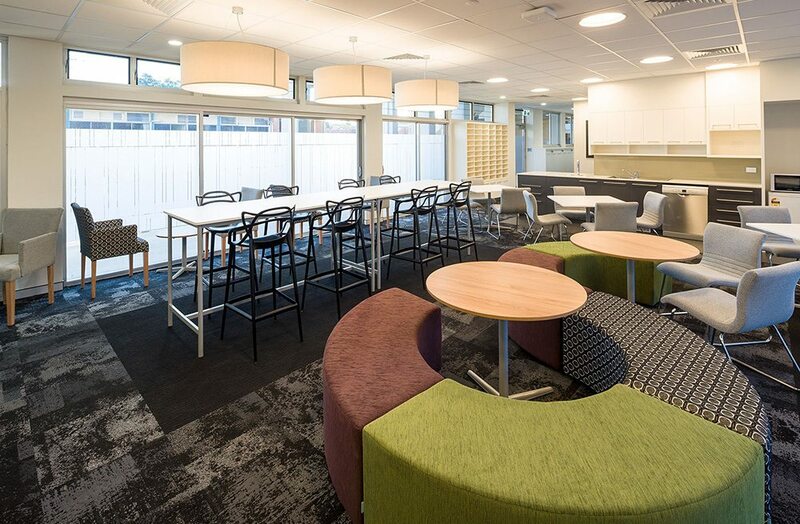 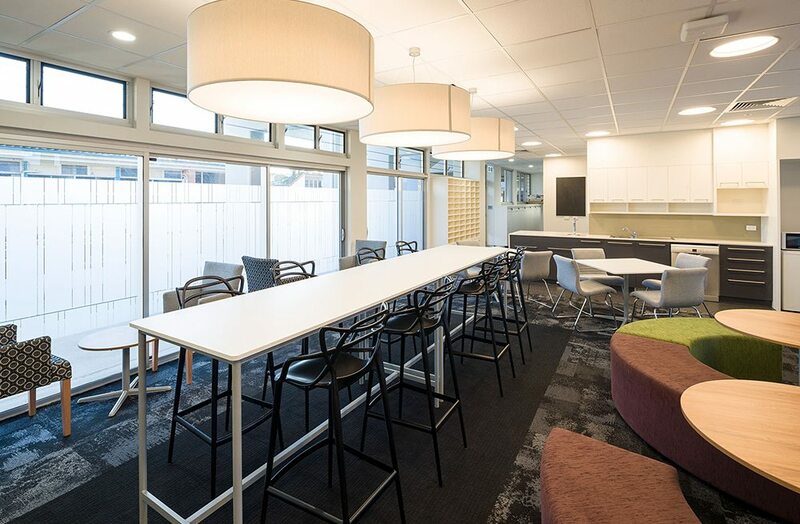 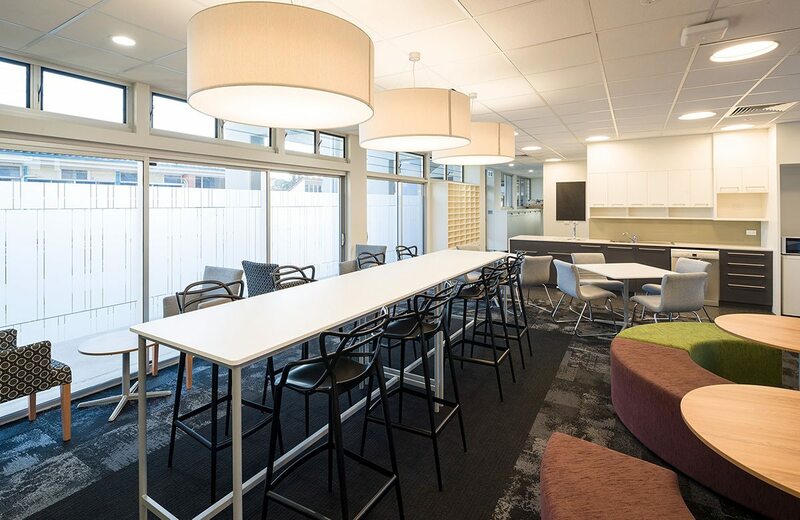 The new facilities include:- Reception and meeting rooms; Leadership offices; Support and Staff Rooms; Teacher Conference Rooms; Staff and Student amenities; Student flexible learning areas; Covered area; Access networks and integrated landscape external works. 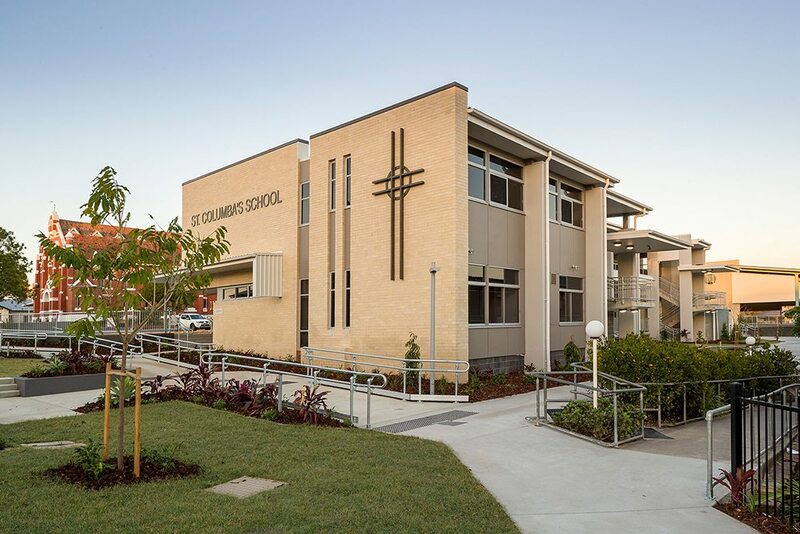 The bold building form provides a progressive new public image for the school which was previously hidden from street view. 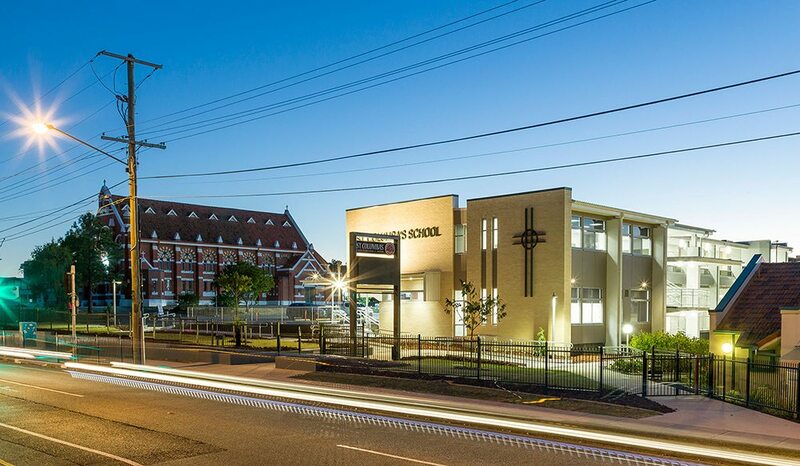 The building architecture and simplicity complements the main forecourt heritage precinct, being respectful and sensitive to the heritage Church and Our Lady’s Block. 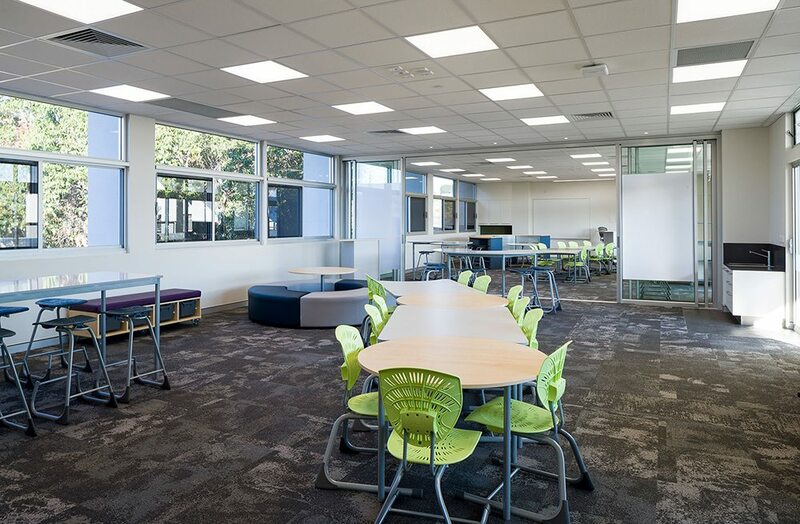 Environmental Sustainability principles have been successfully integrated into the design through:- The building orientation and sun shading responding to the local climate; Natural light and ventilation provided to all spaces; Low maintenance and robust finishes selected for low cost lifecycle; Rainwater harvesting tanks provided for landscape irrigation and amenities water supply.